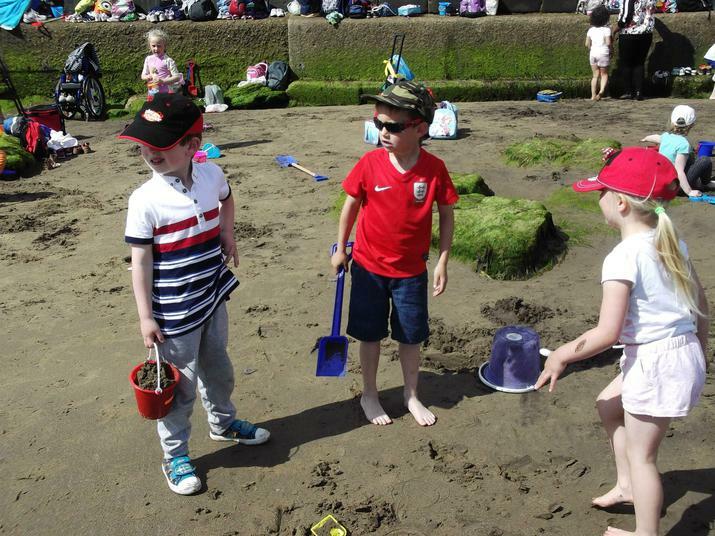 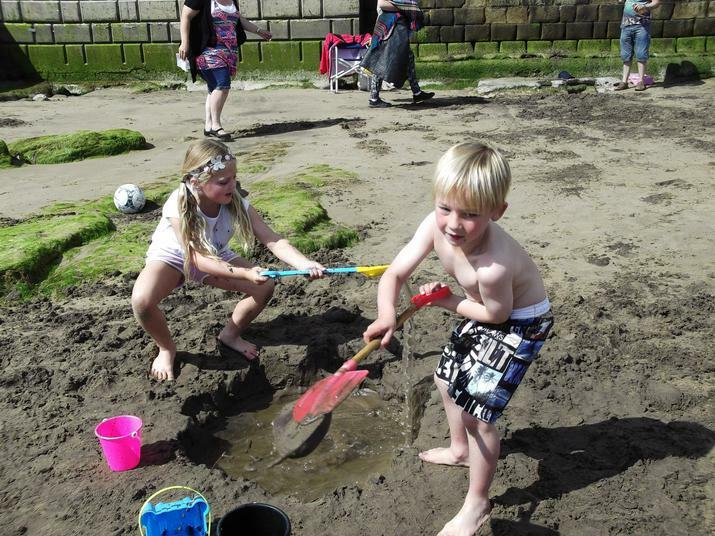 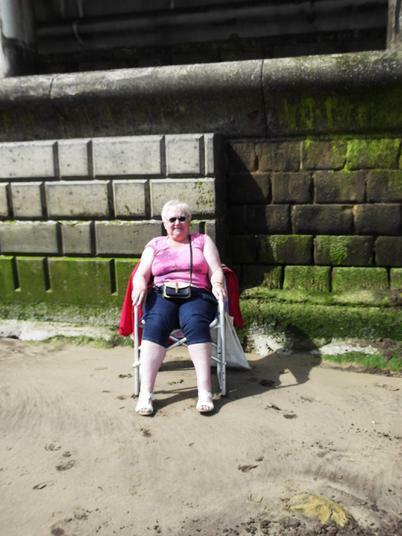 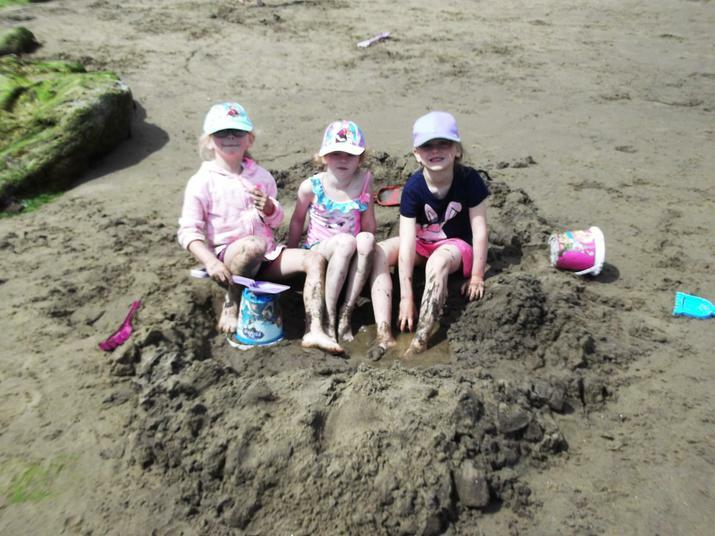 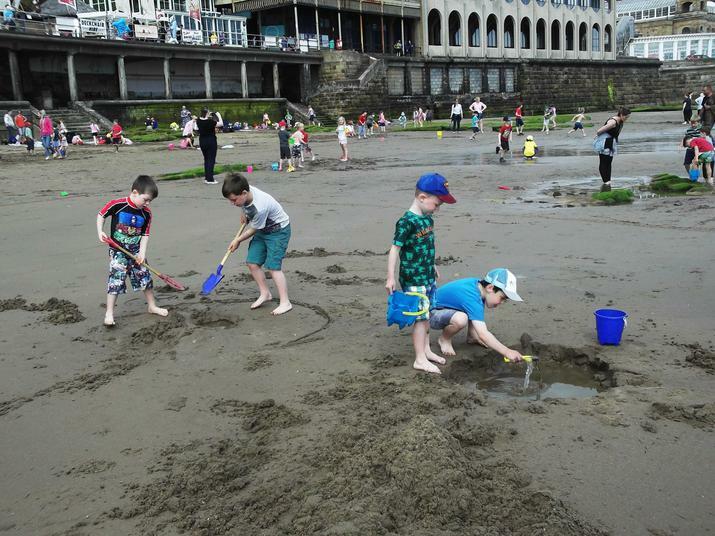 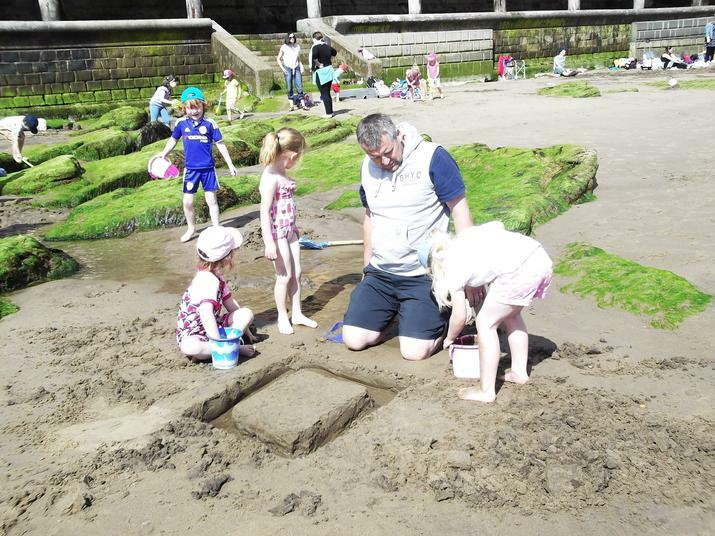 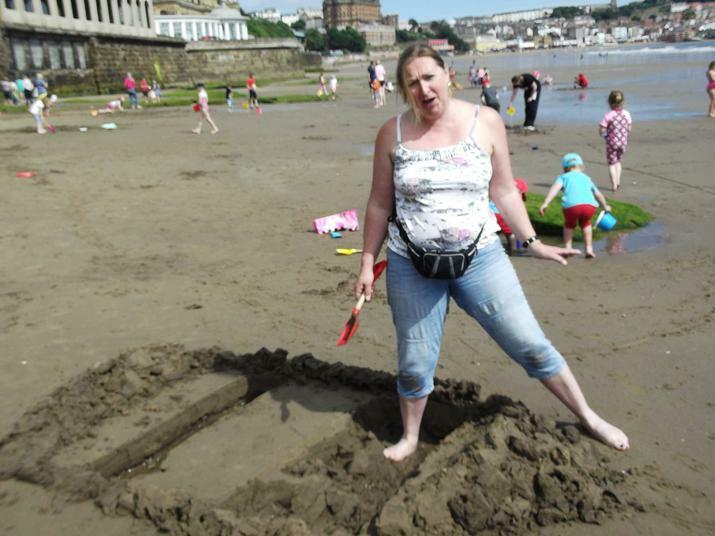 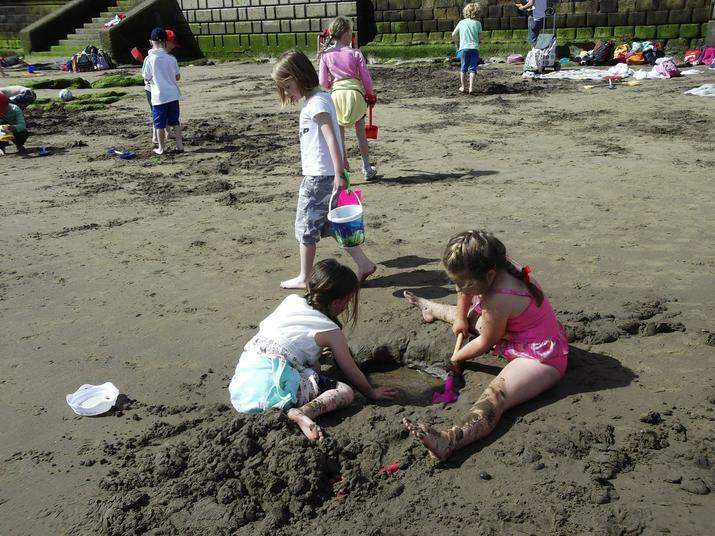 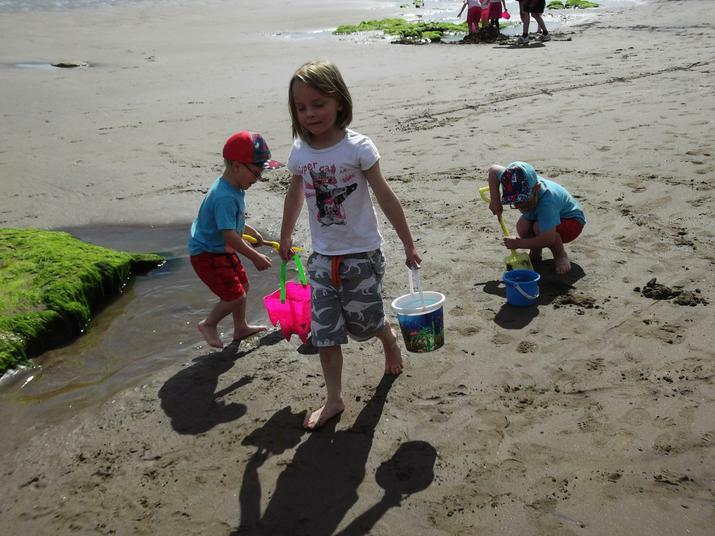 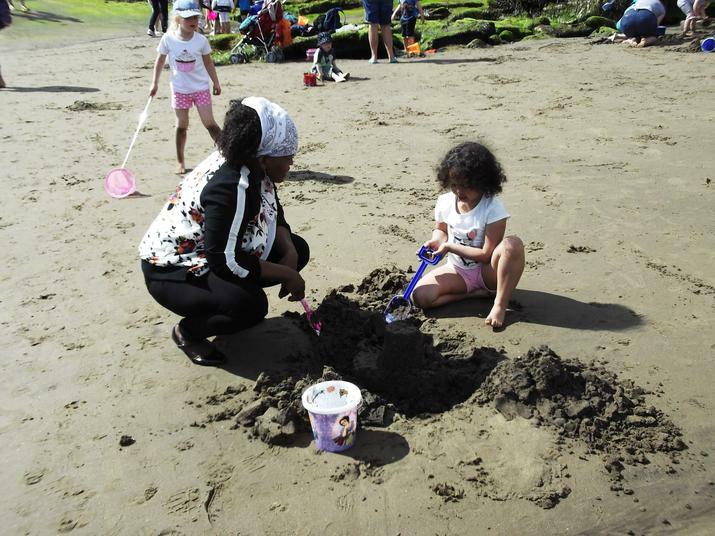 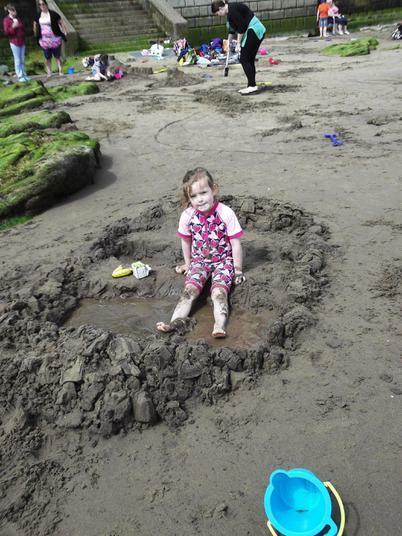 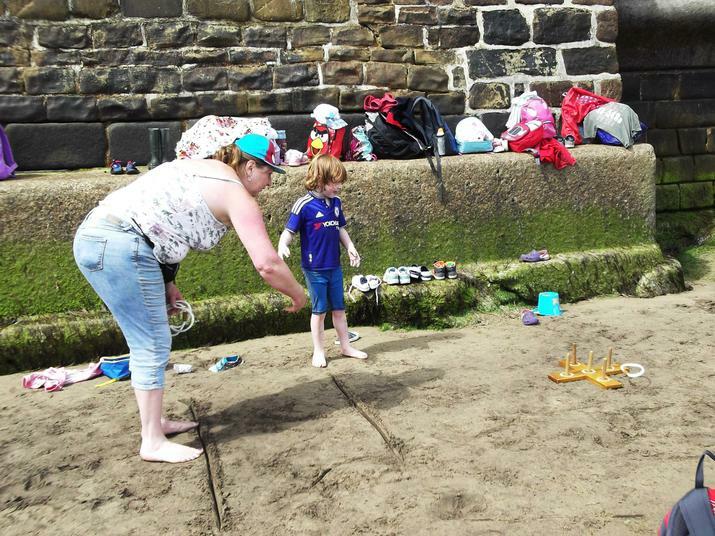 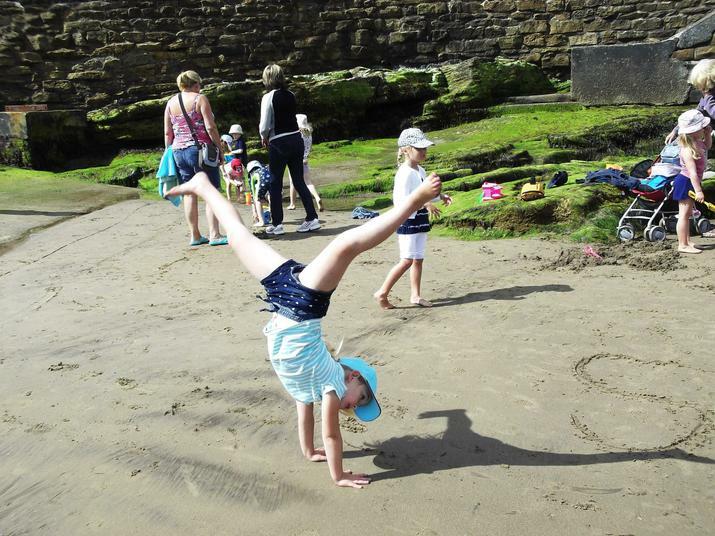 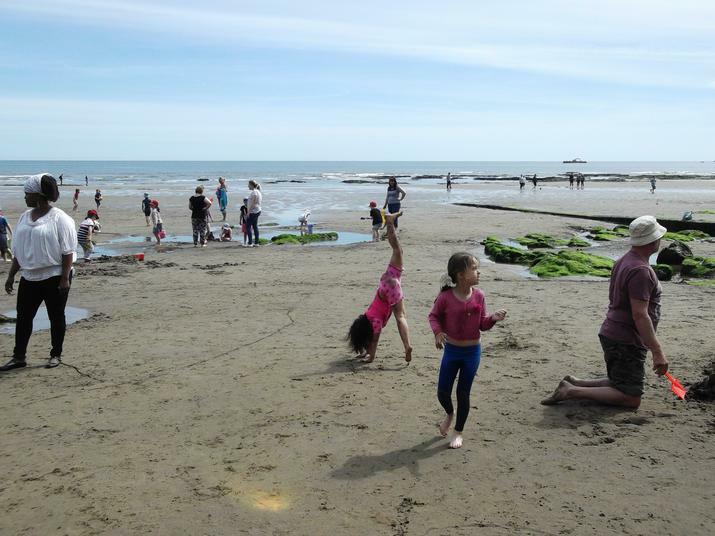 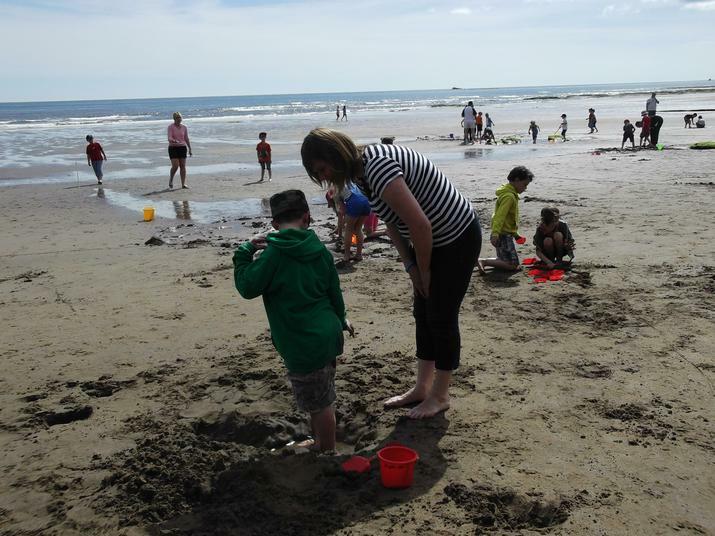 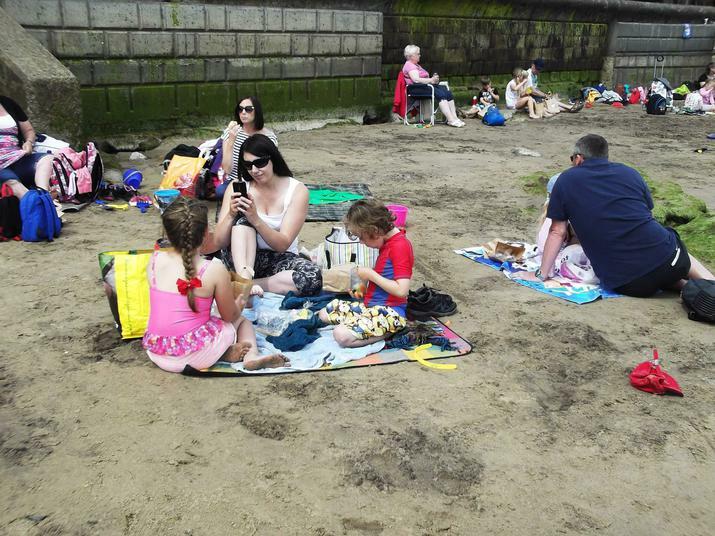 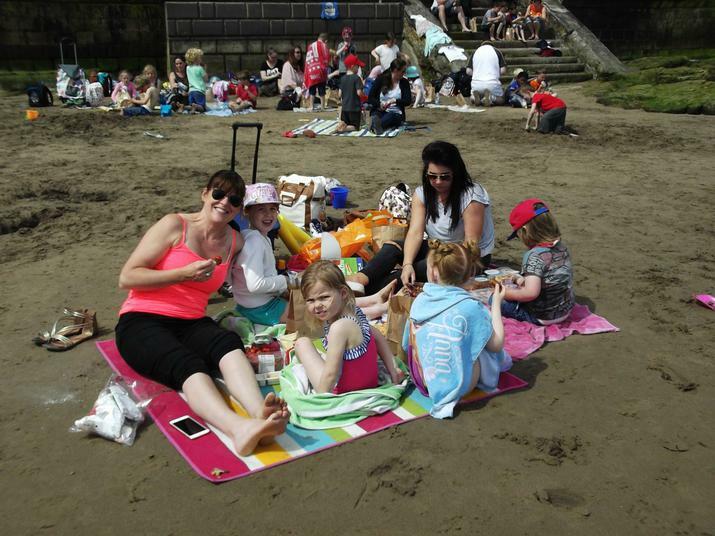 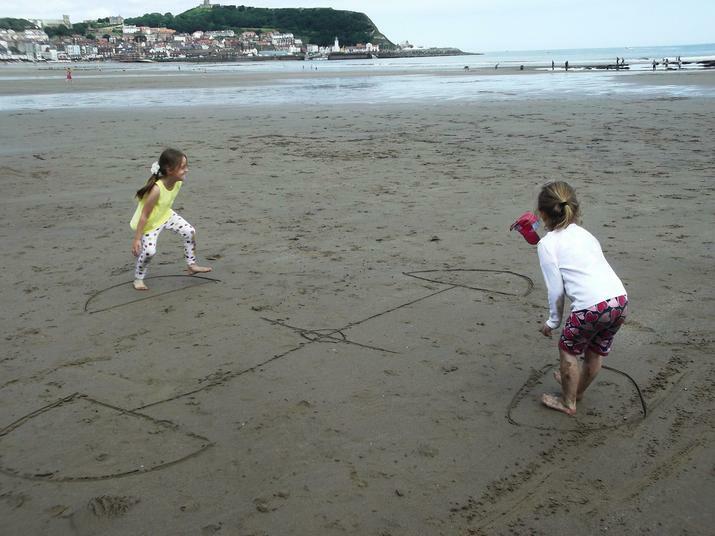 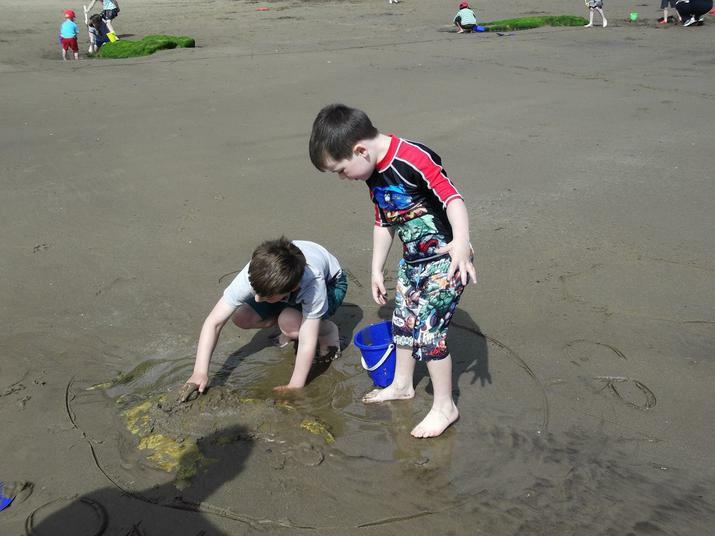 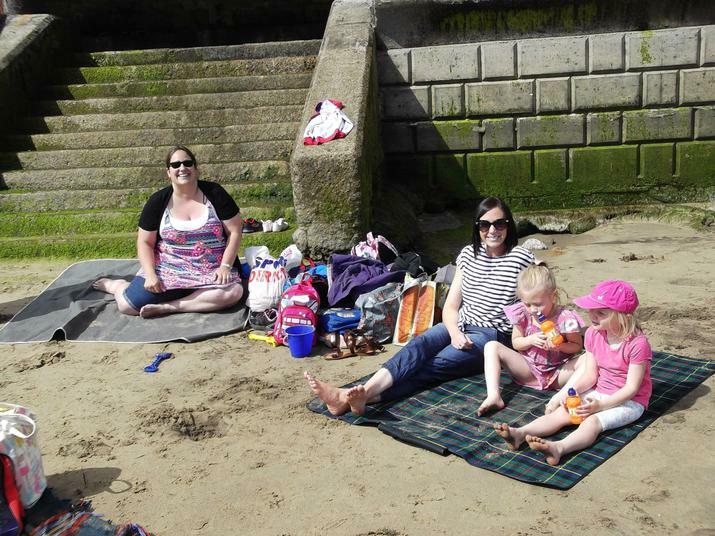 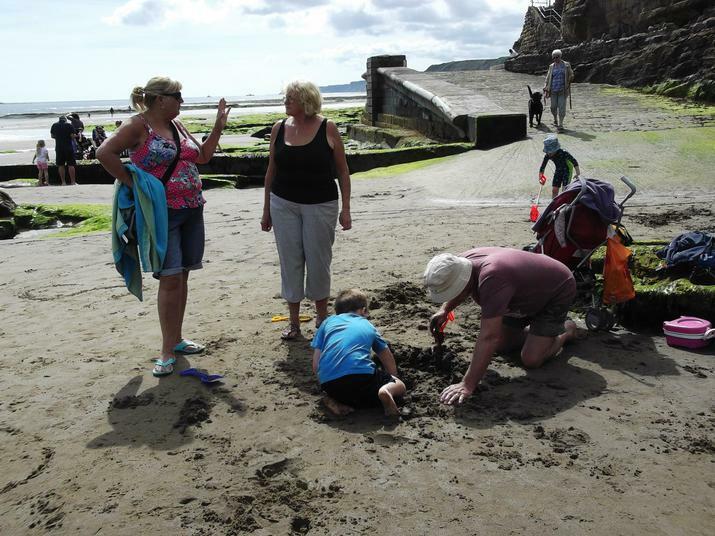 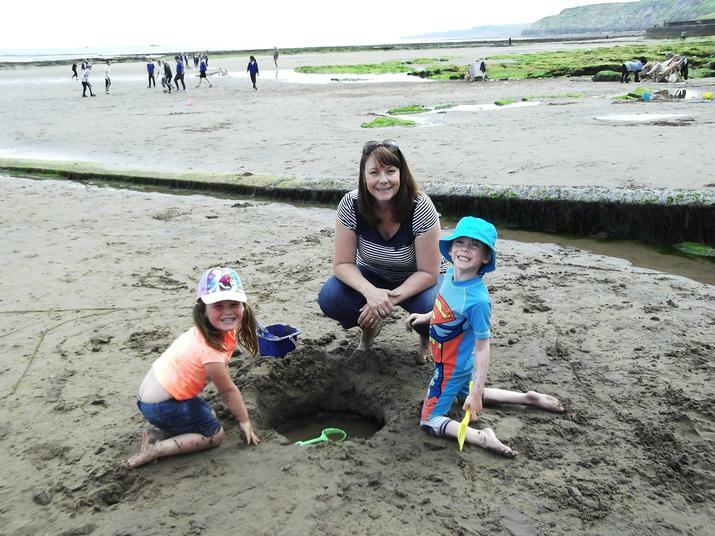 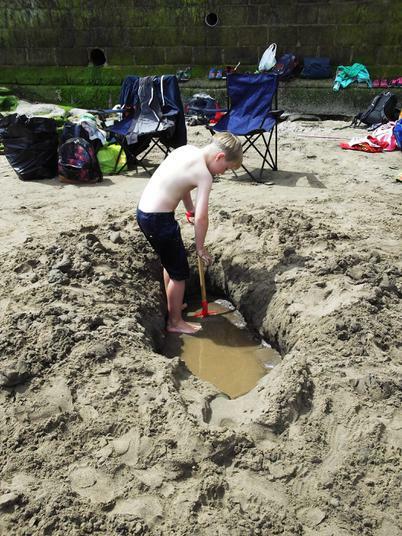 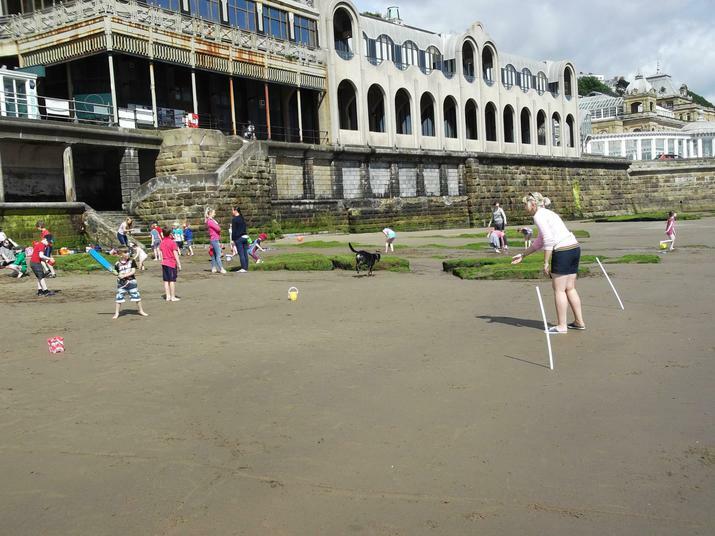 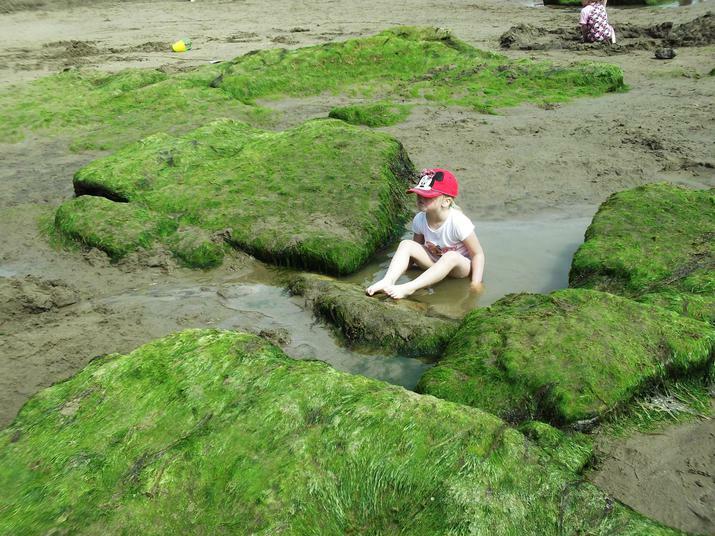 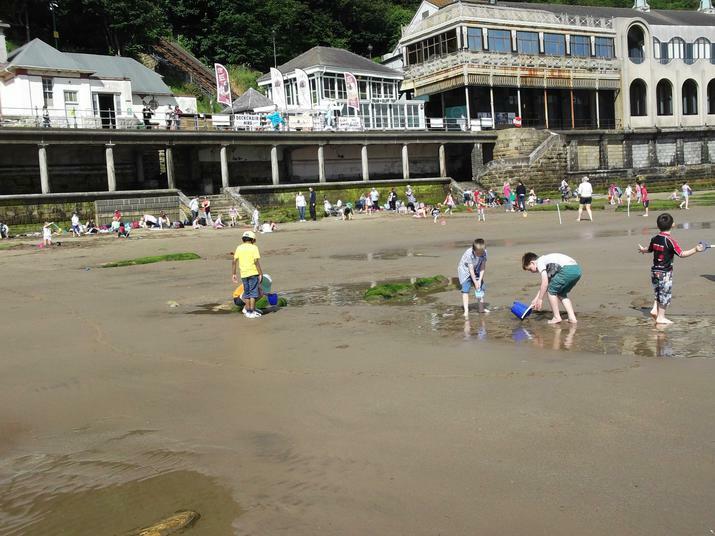 What a wonderful day for the beach, the sun shone but not to much and the tide was right. 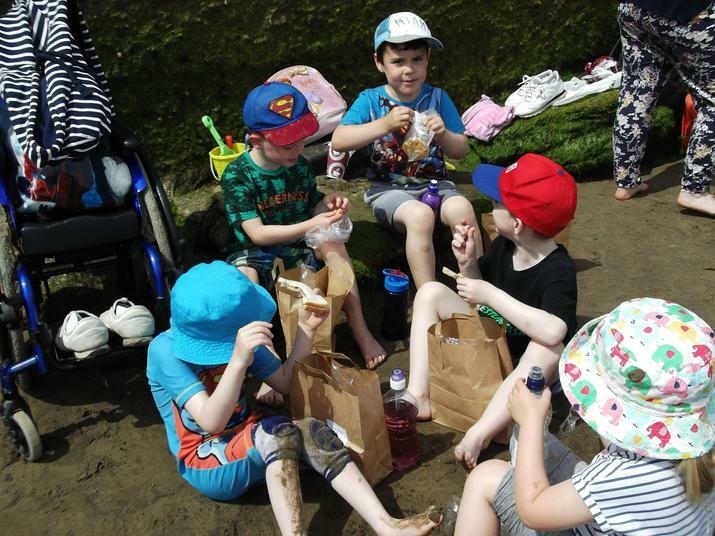 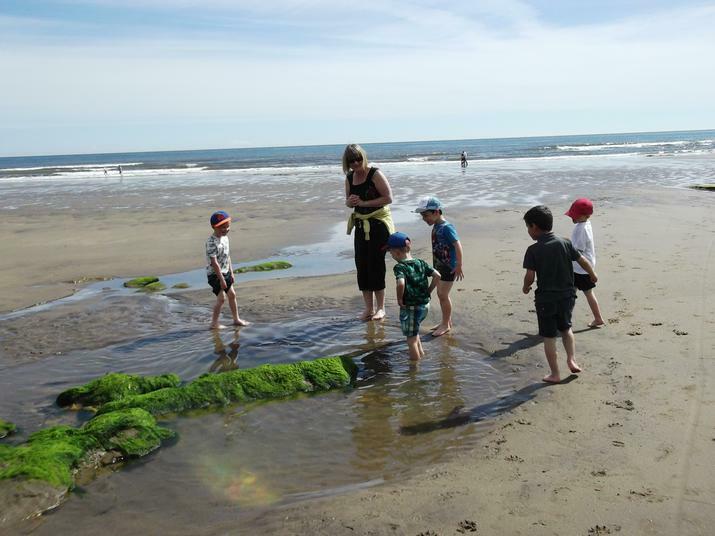 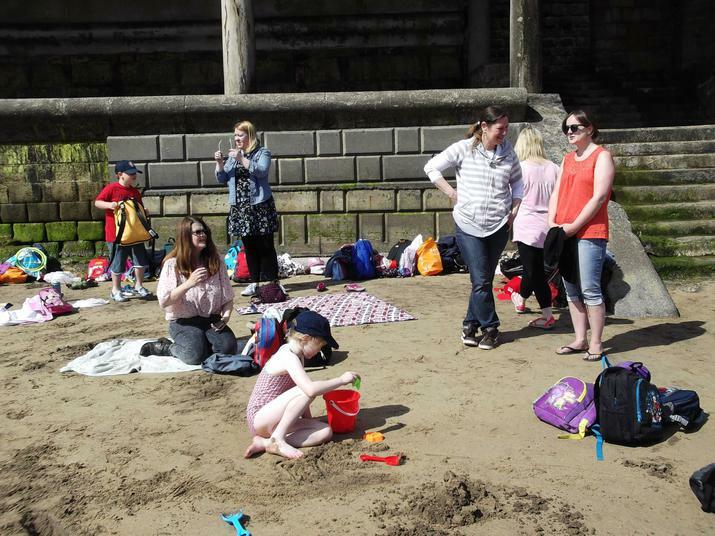 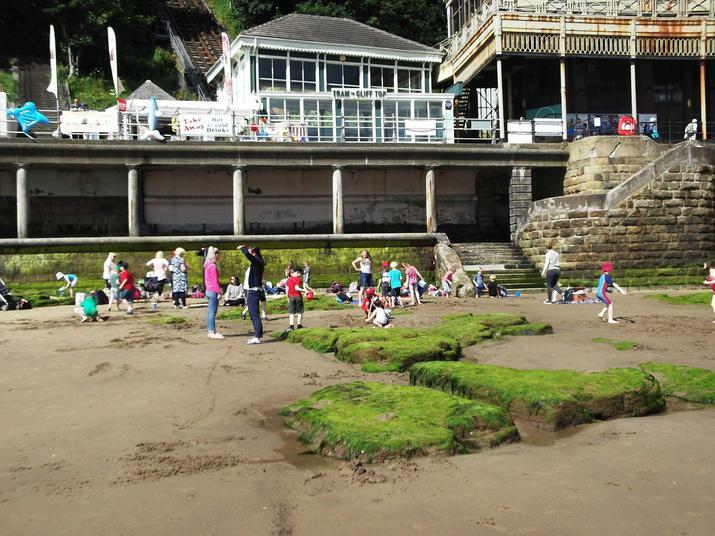 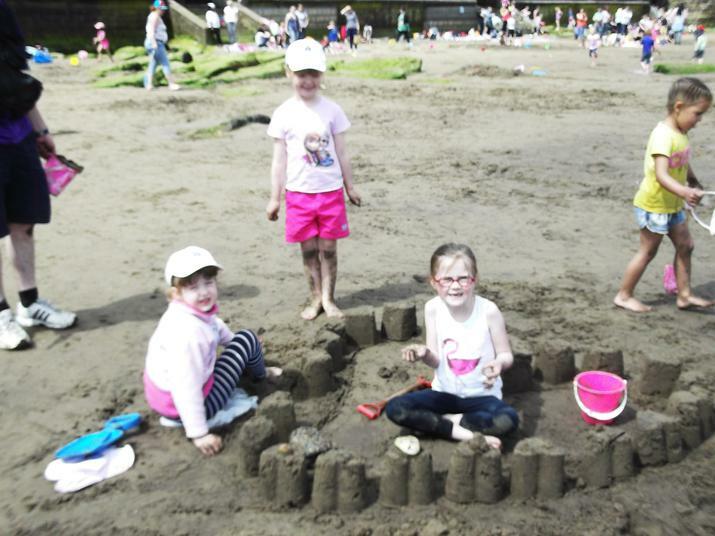 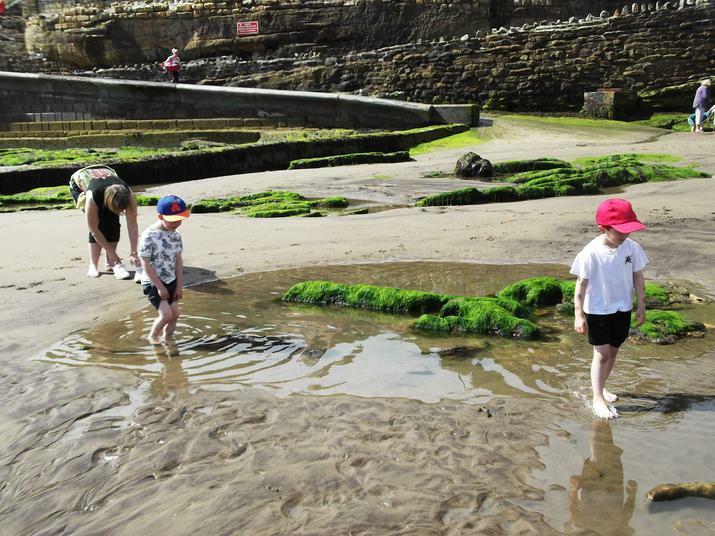 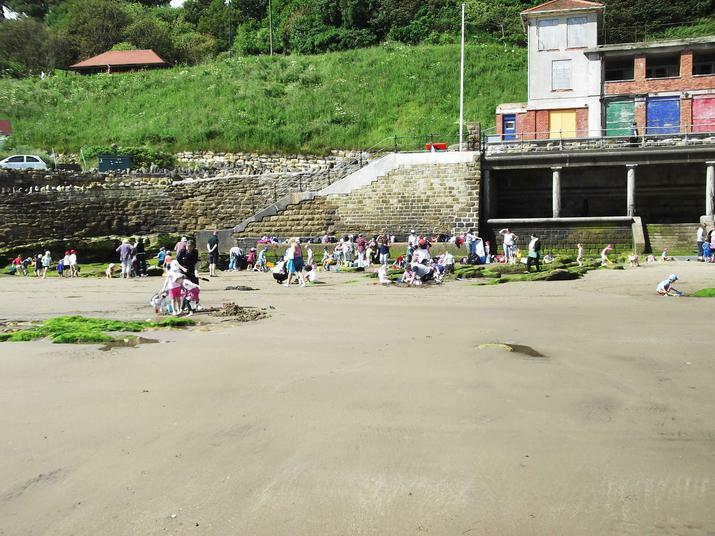 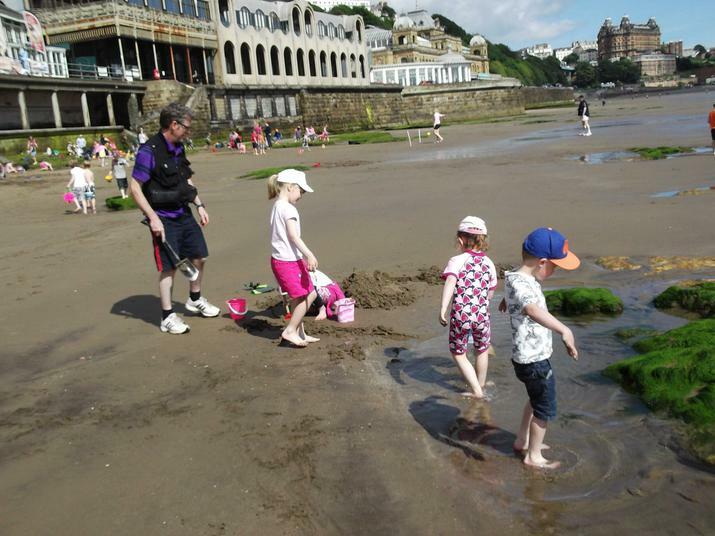 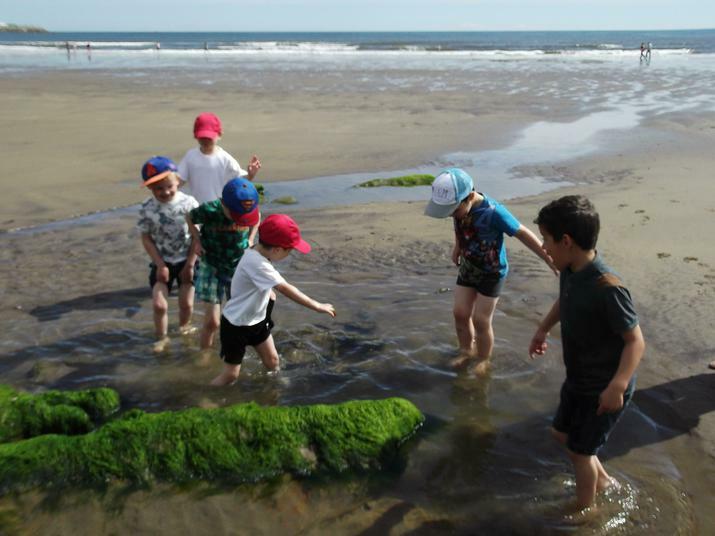 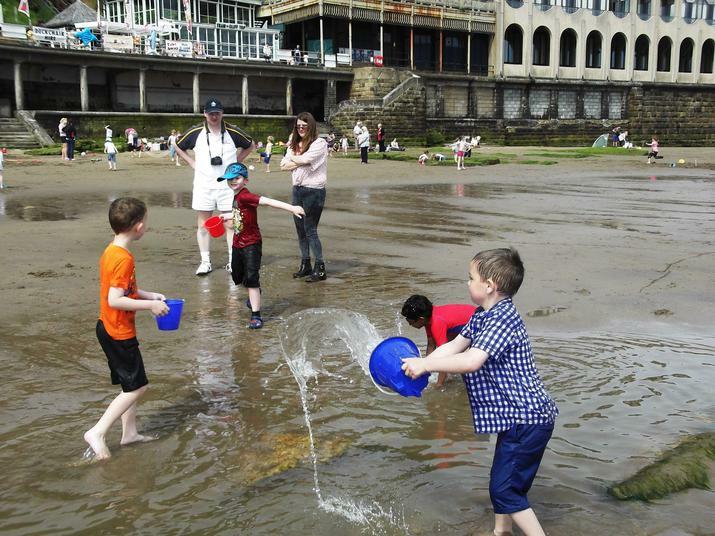 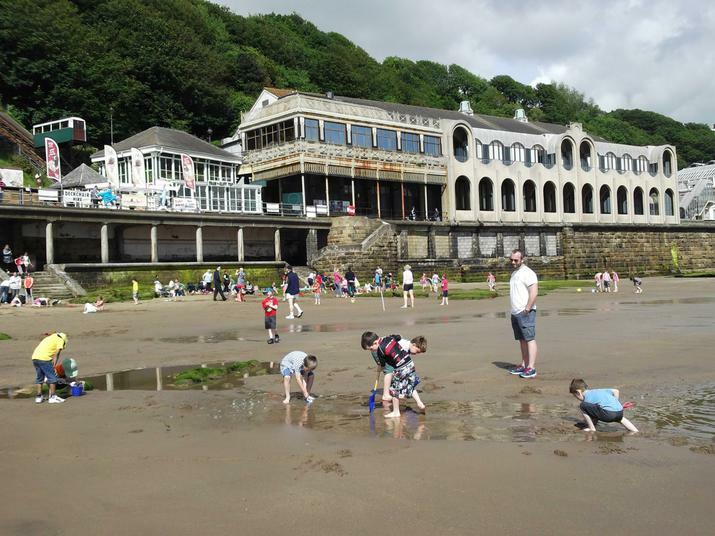 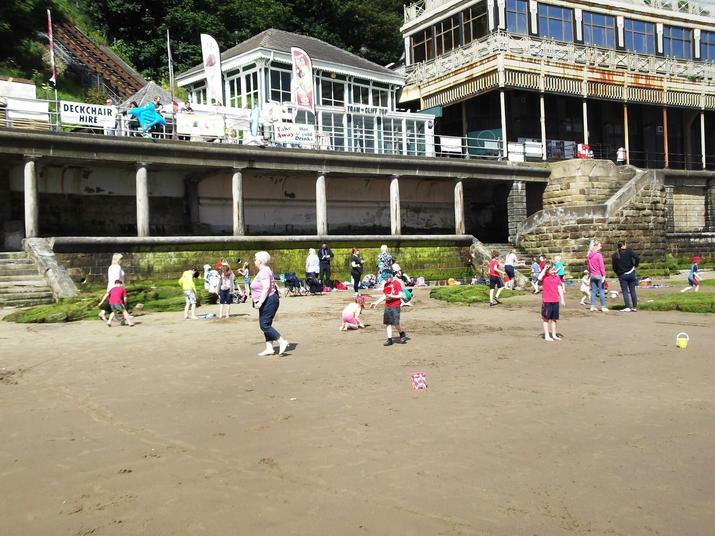 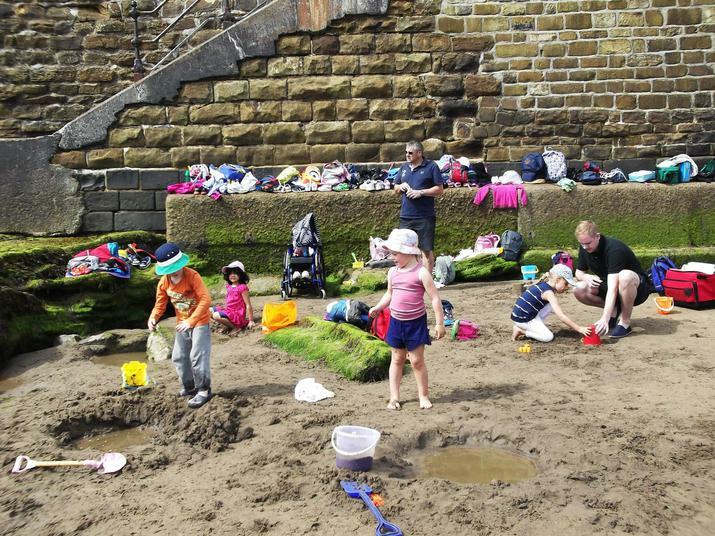 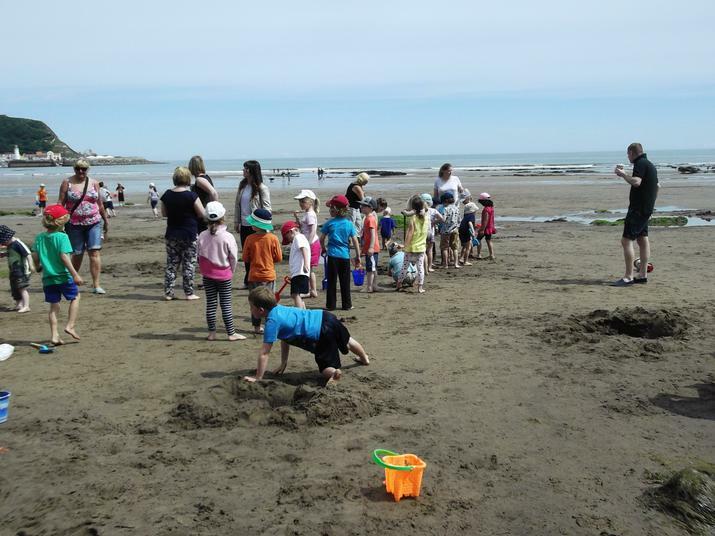 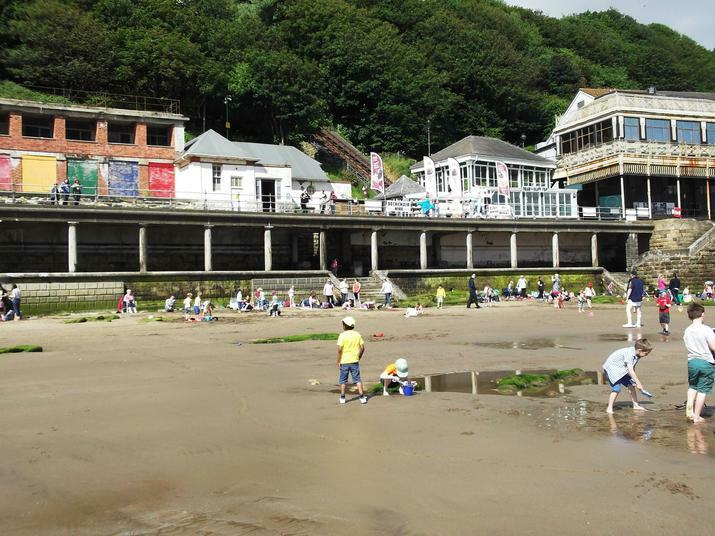 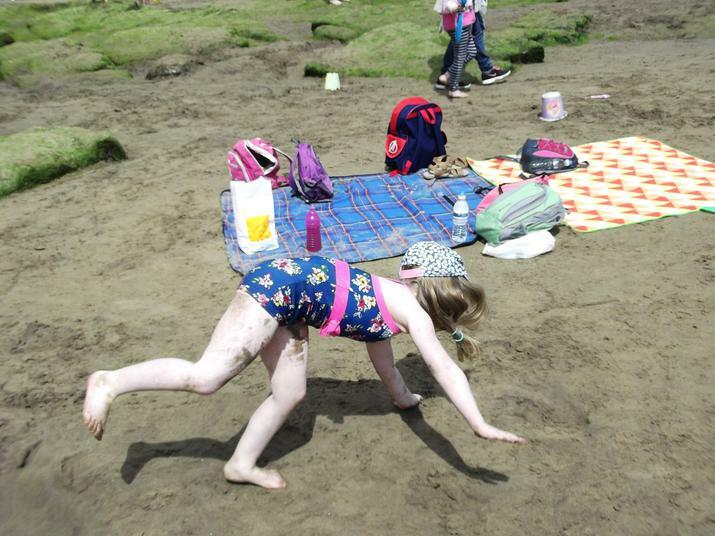 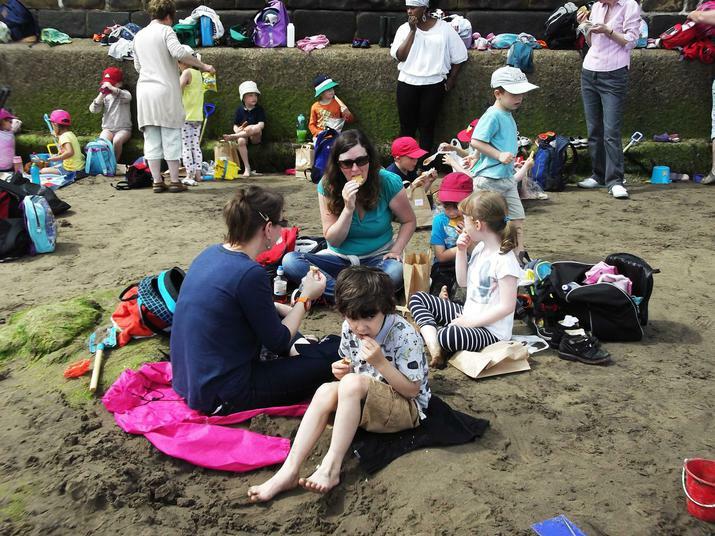 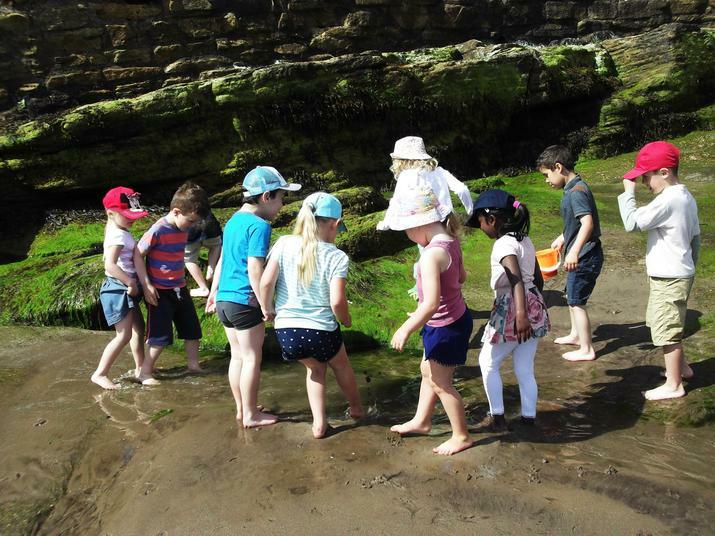 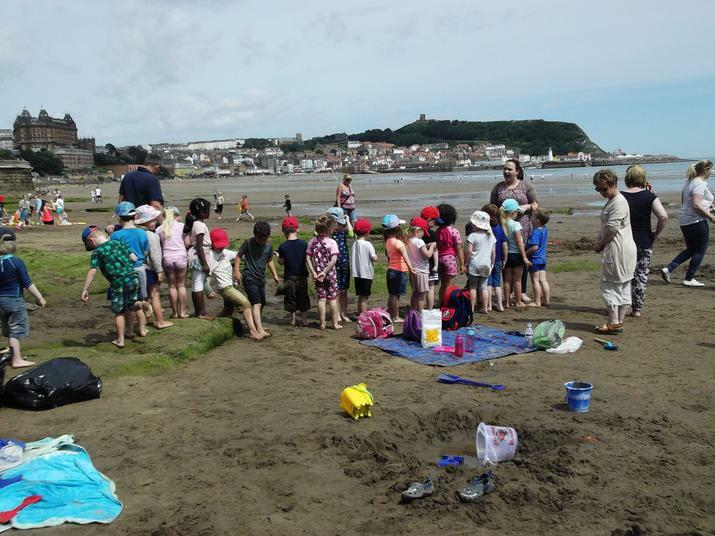 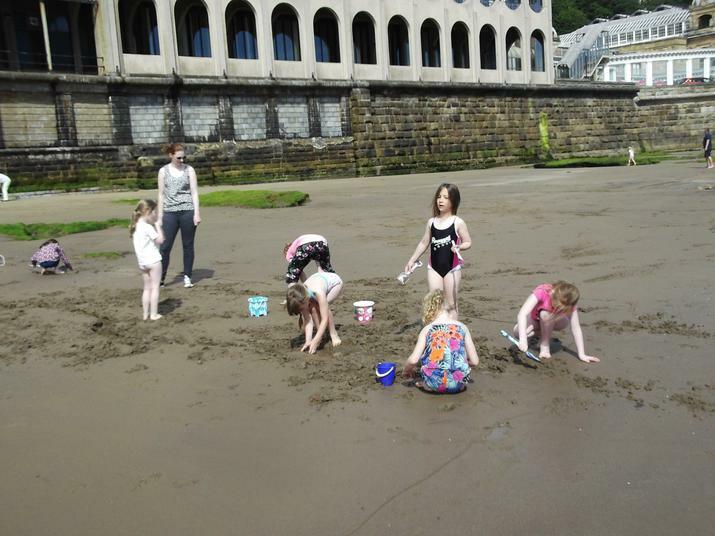 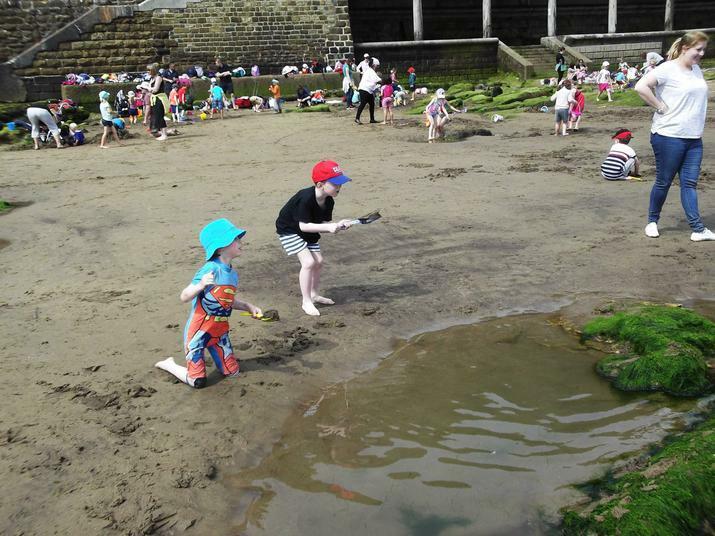 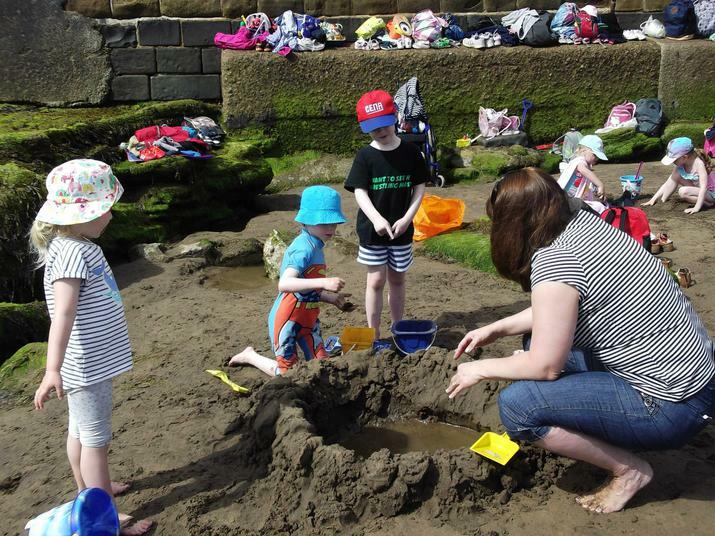 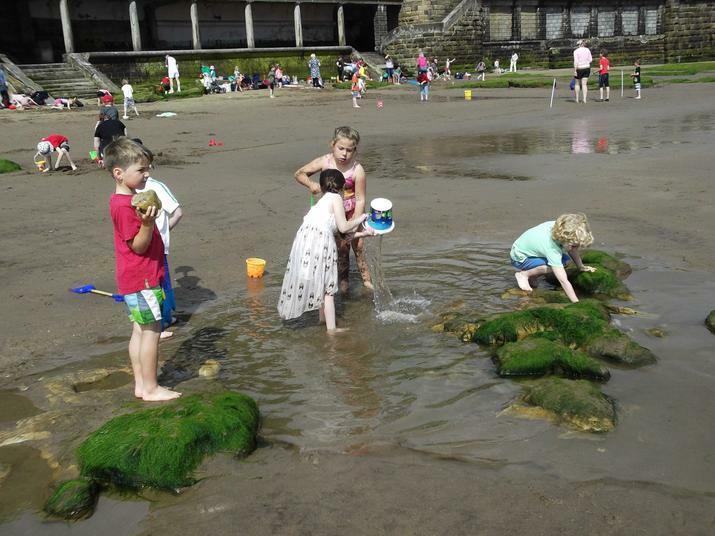 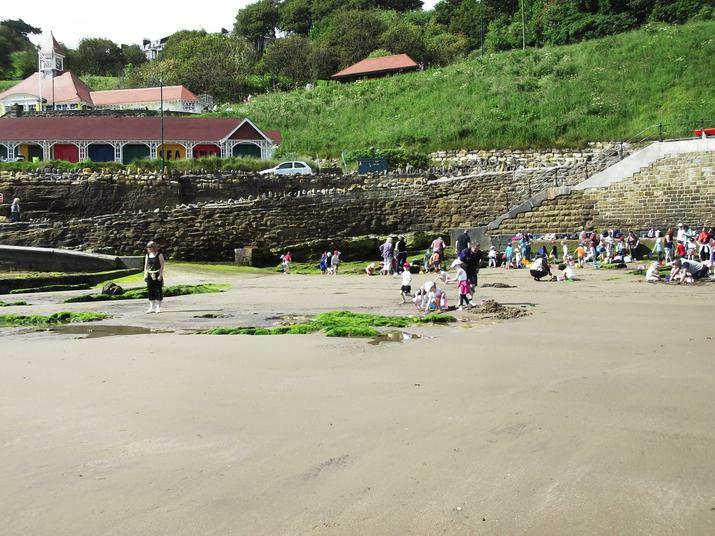 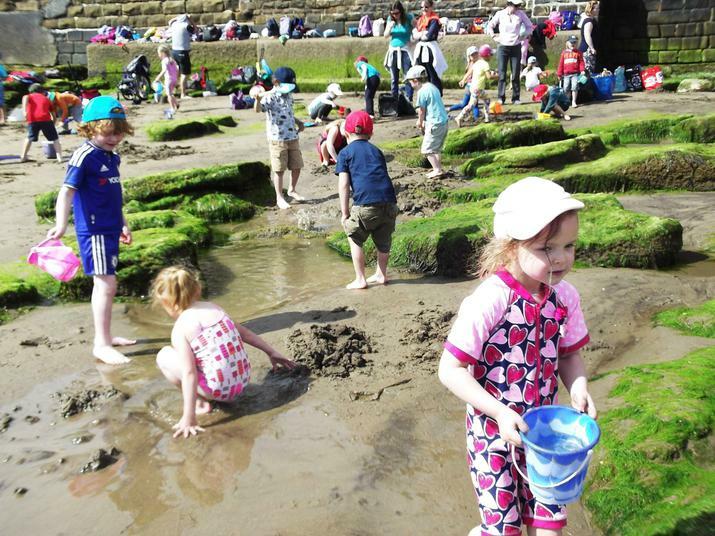 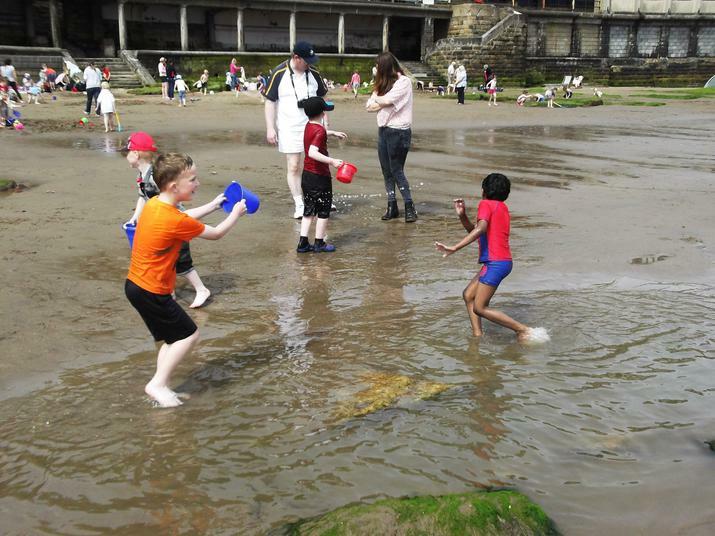 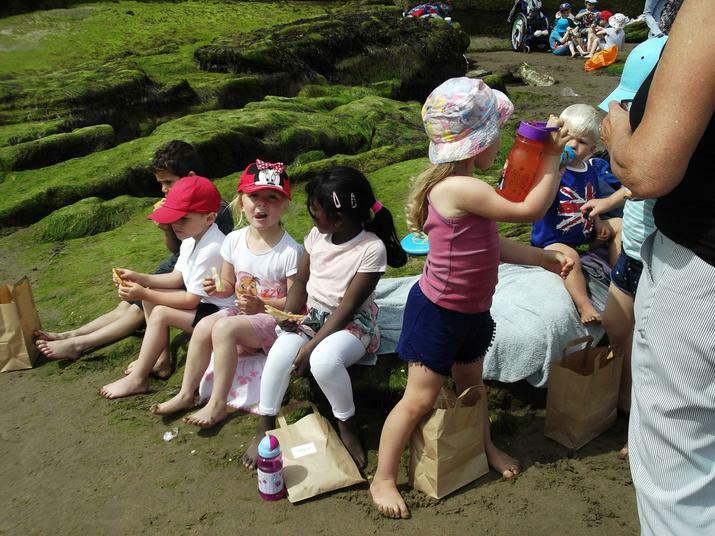 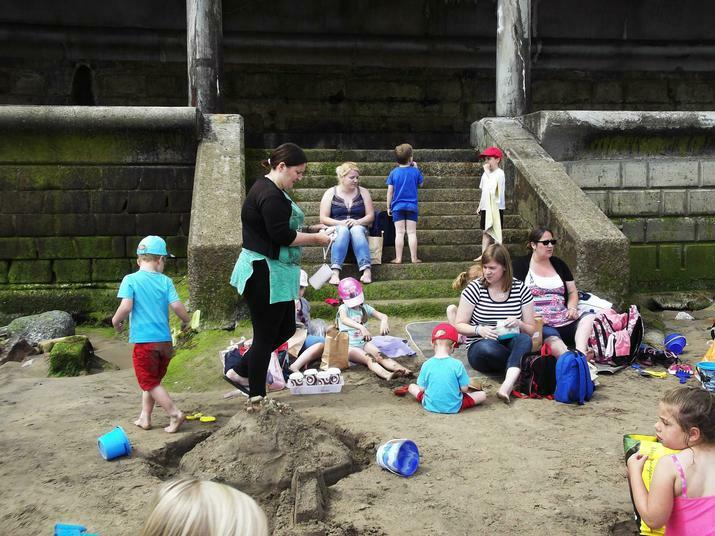 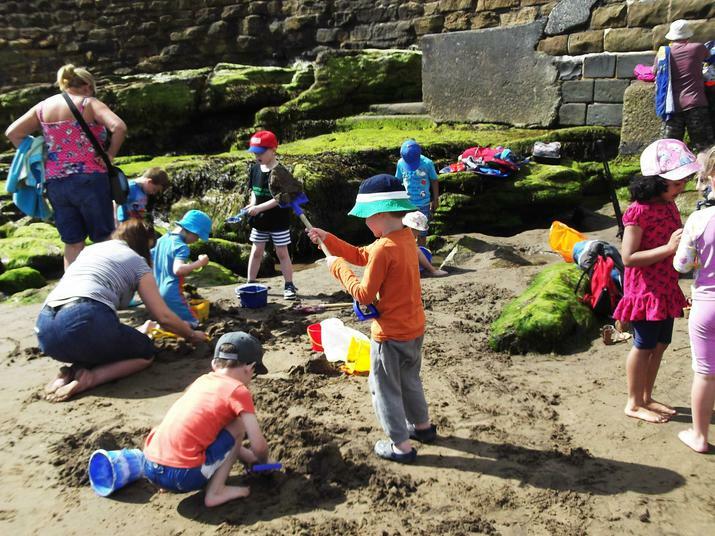 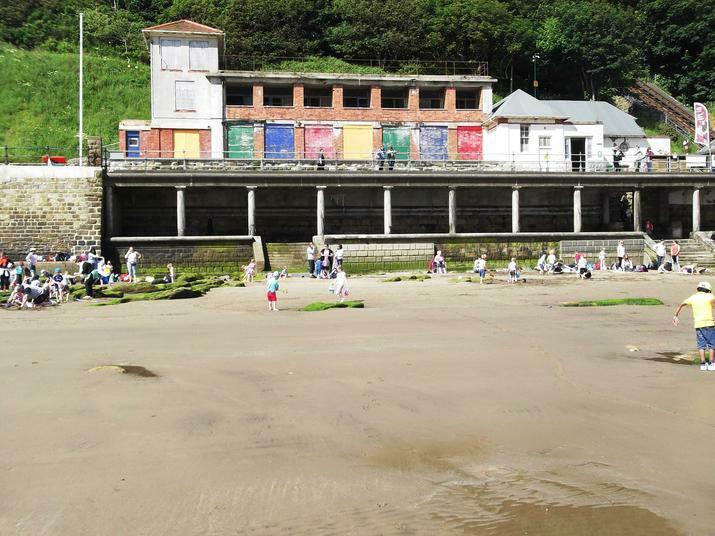 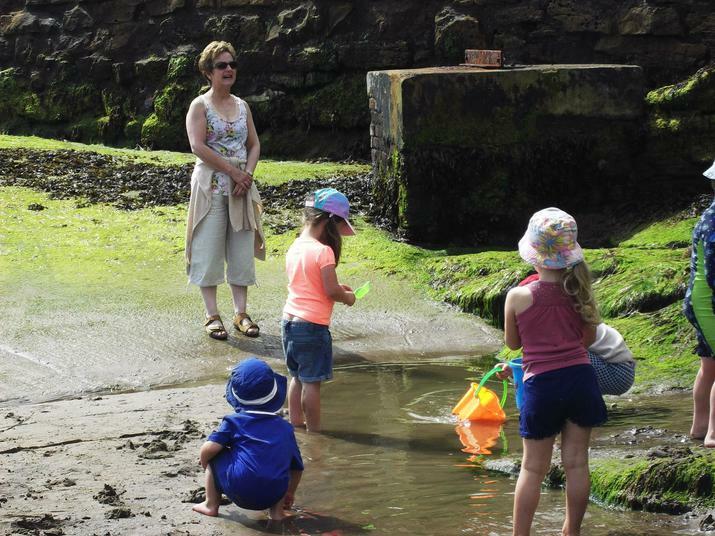 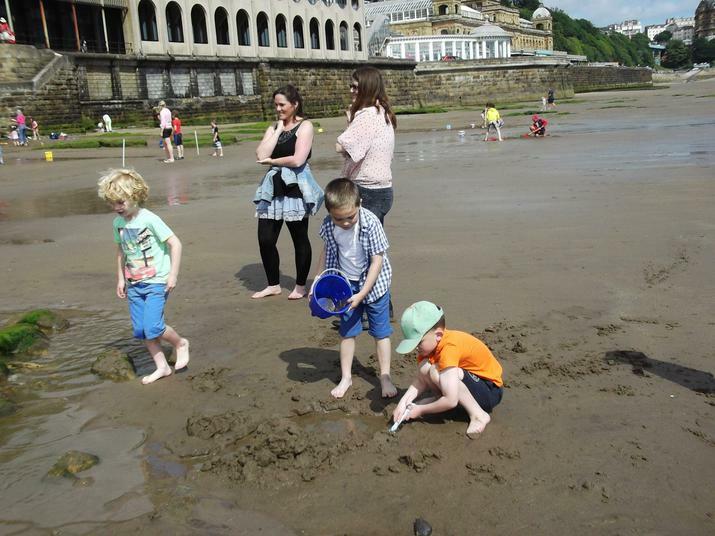 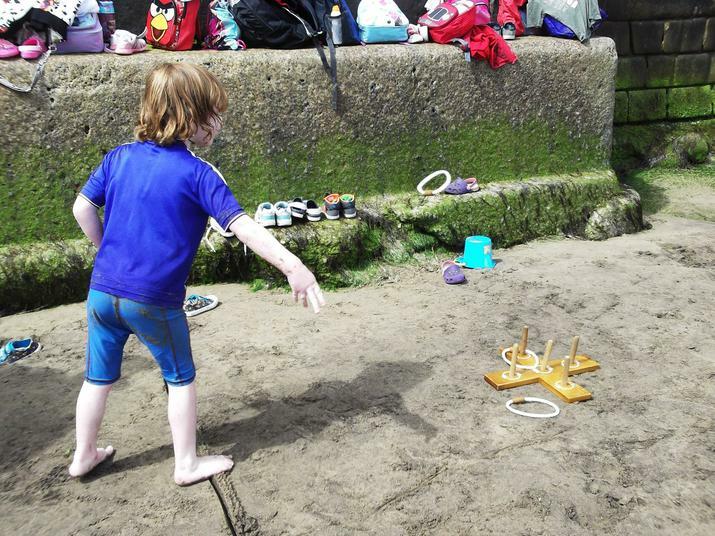 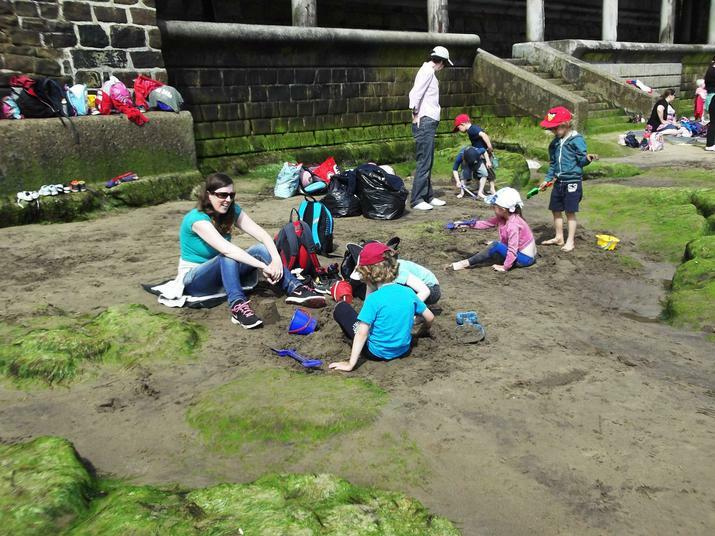 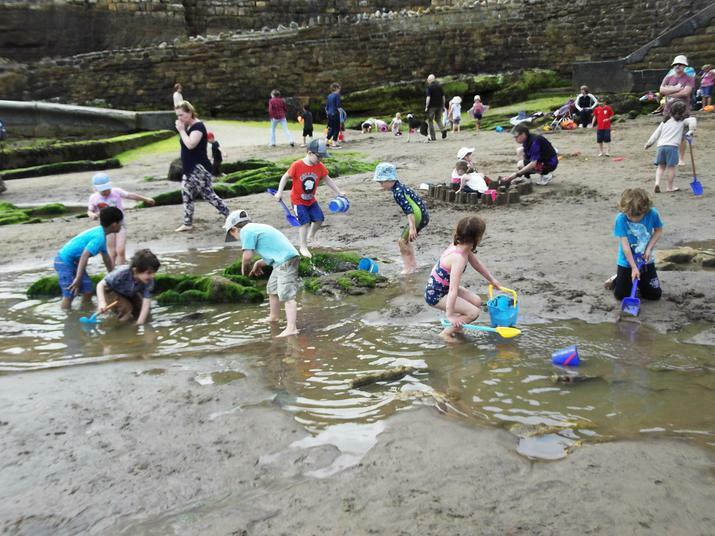 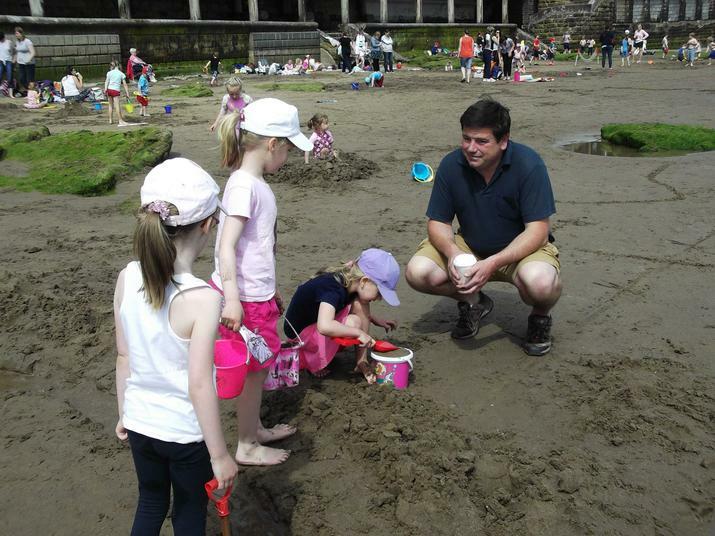 The infants descended on to the beach by the Spa. 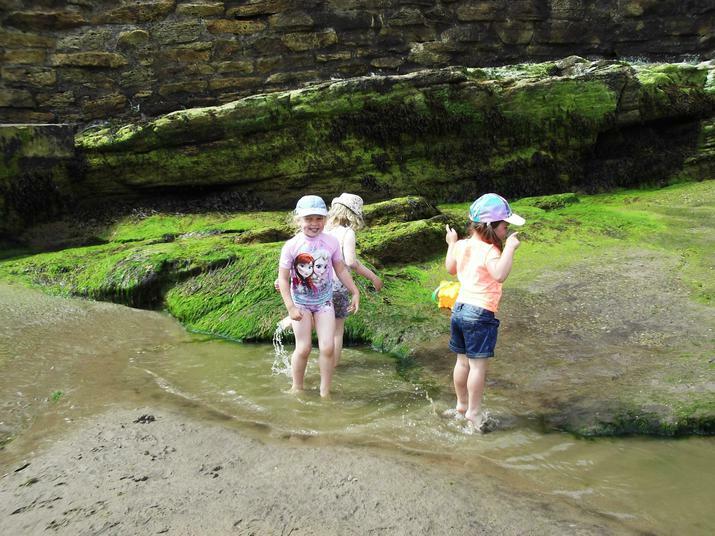 After a leisurely walk down, "are we there yet" was said more than once! 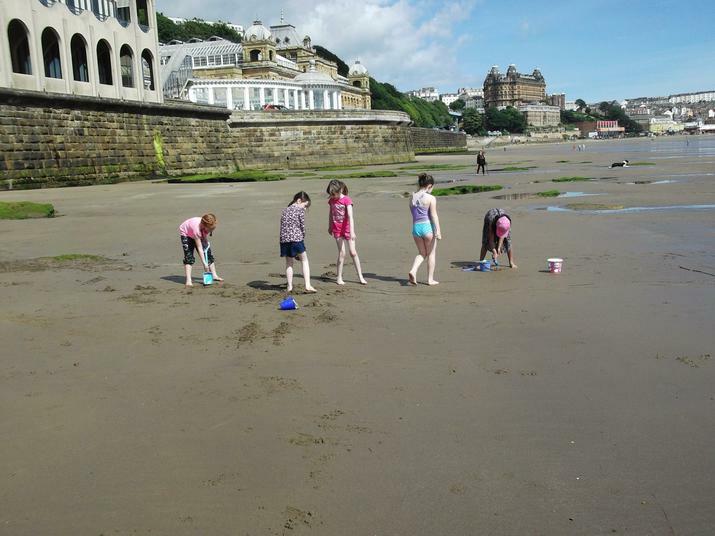 we arrived at the beach. 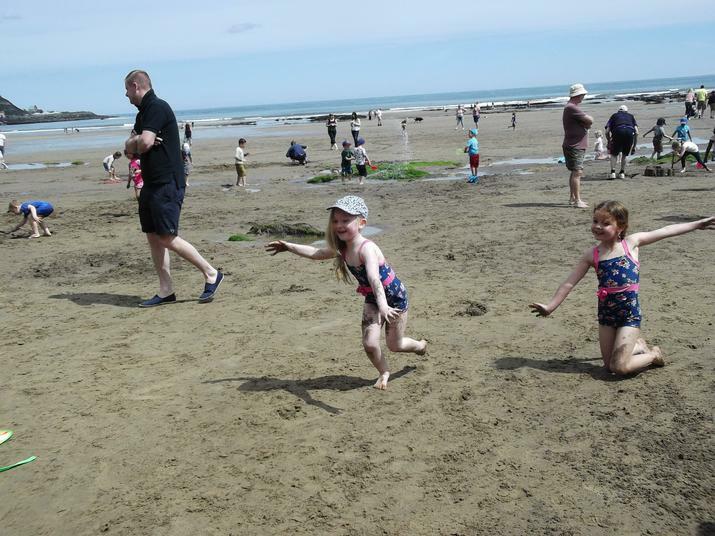 Clothes were soon changed and the fun began! 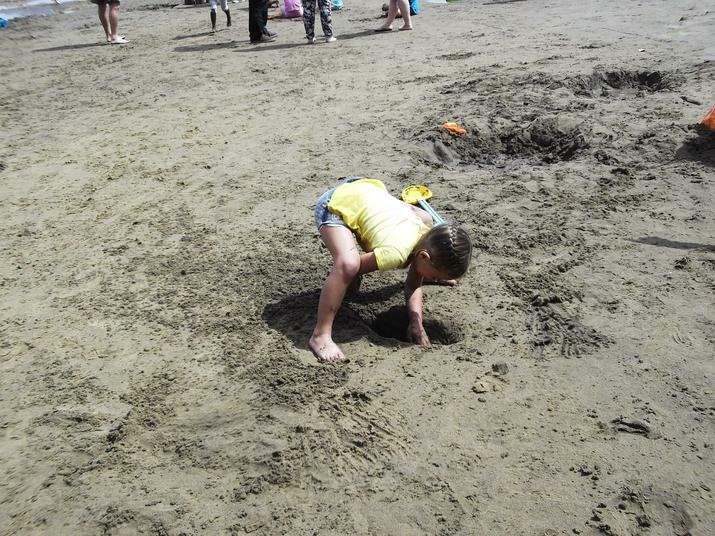 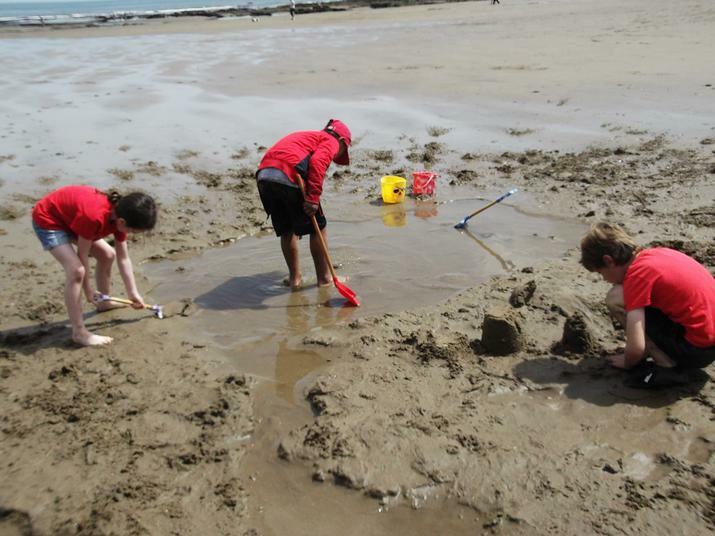 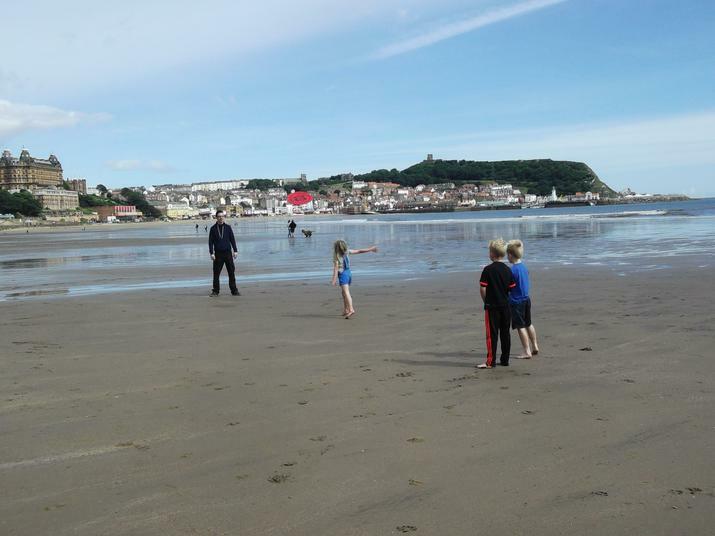 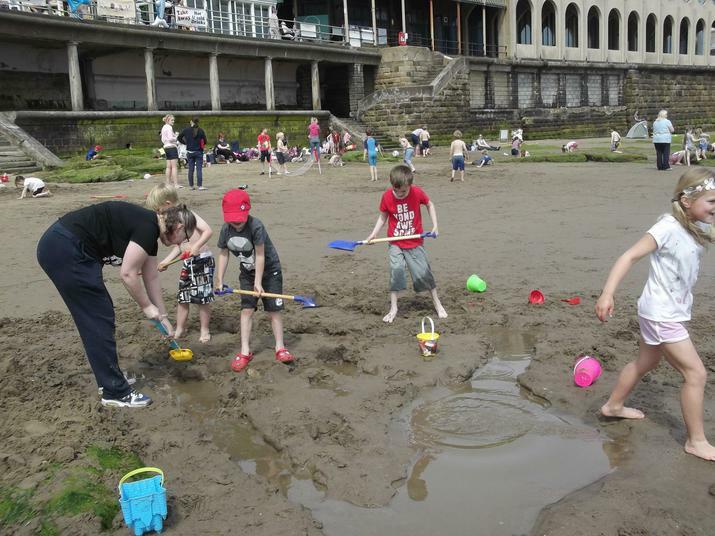 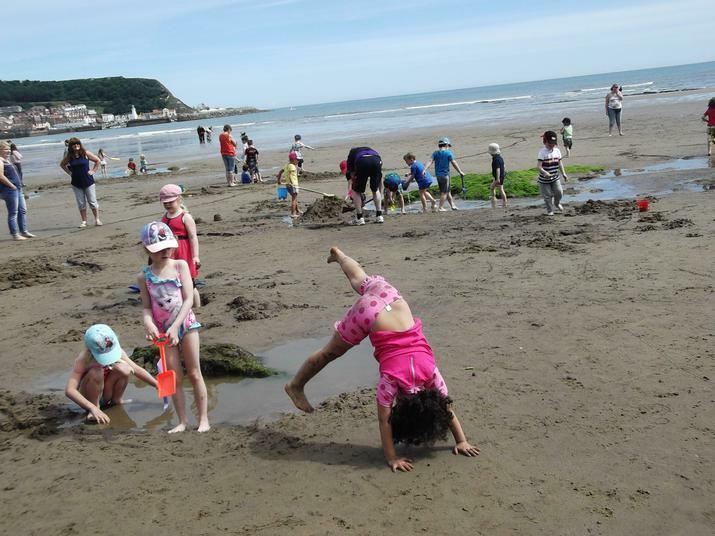 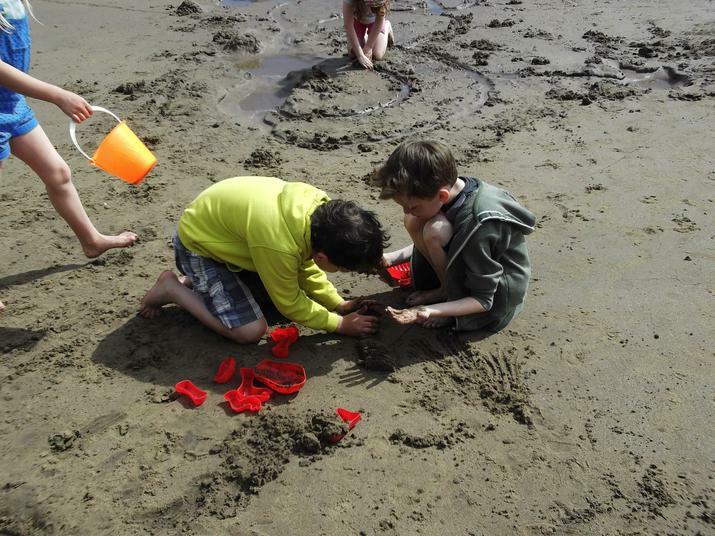 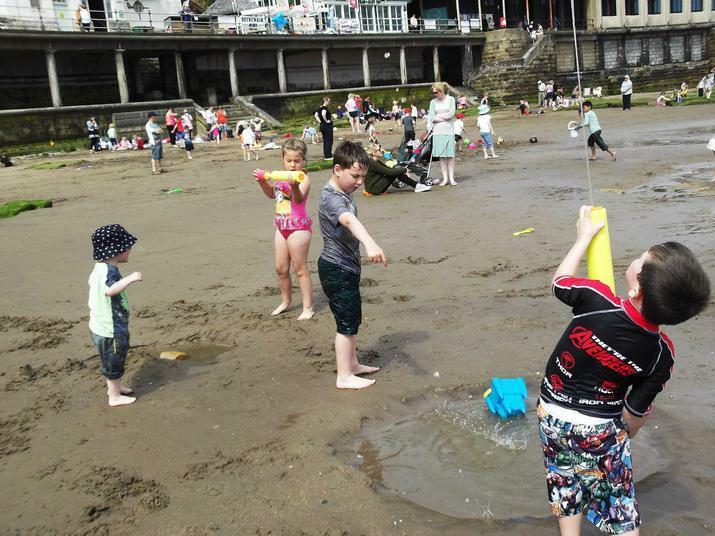 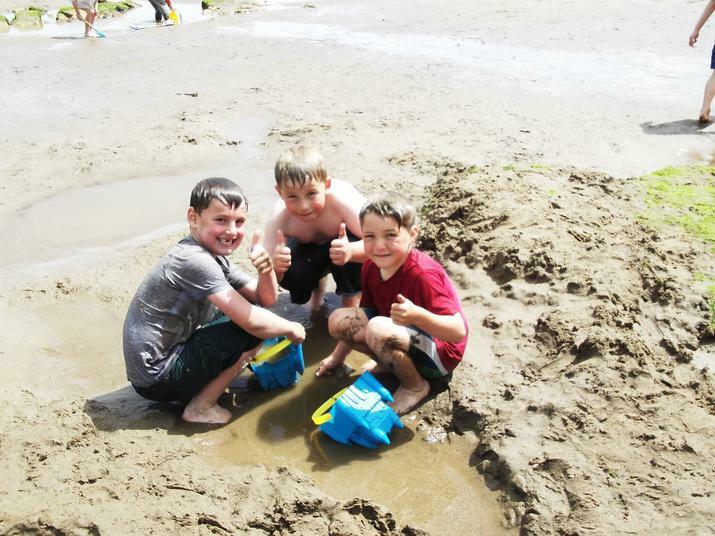 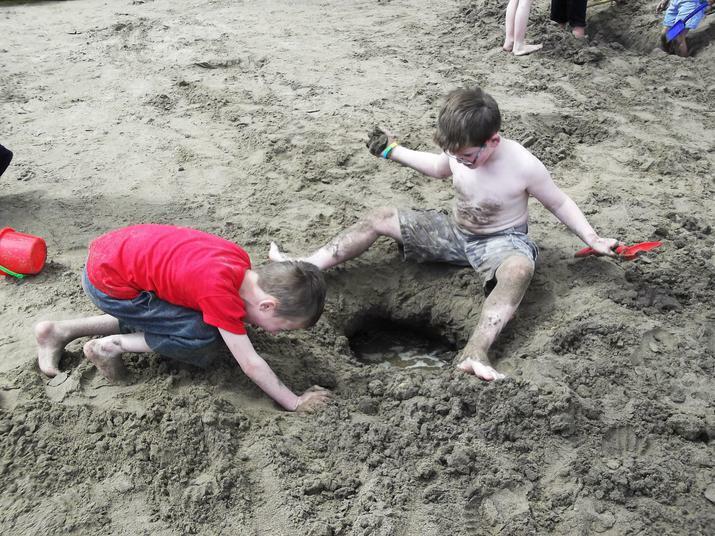 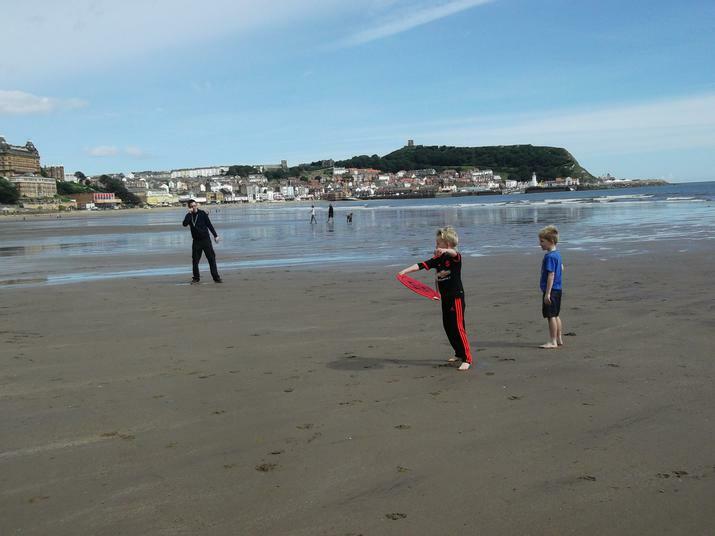 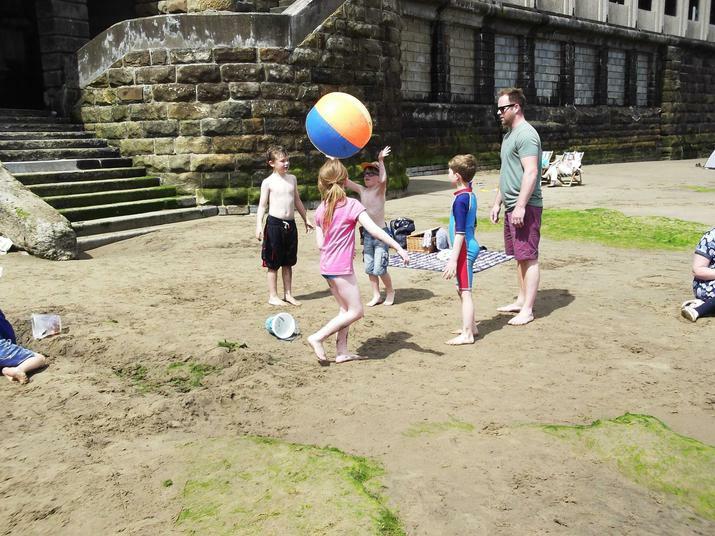 We played ball and Frisbee, we played on the sand and in the water and we all had so much fun. 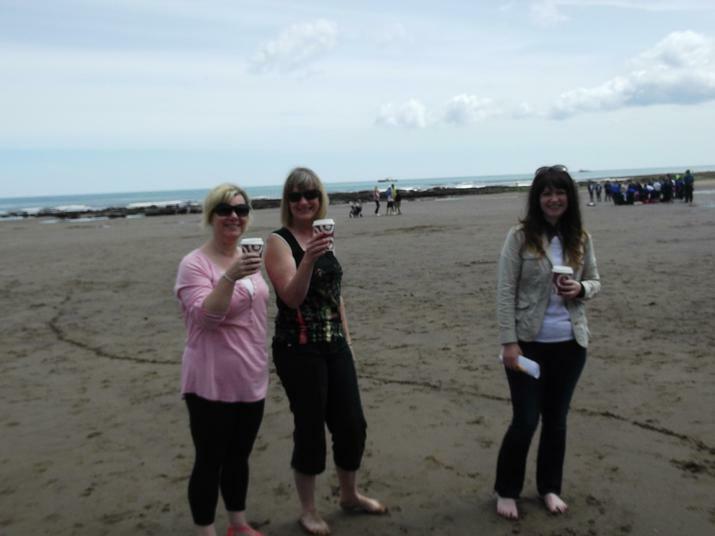 Some people needed a sit down after our walk and others needed a coffee but the playing didn't stop. 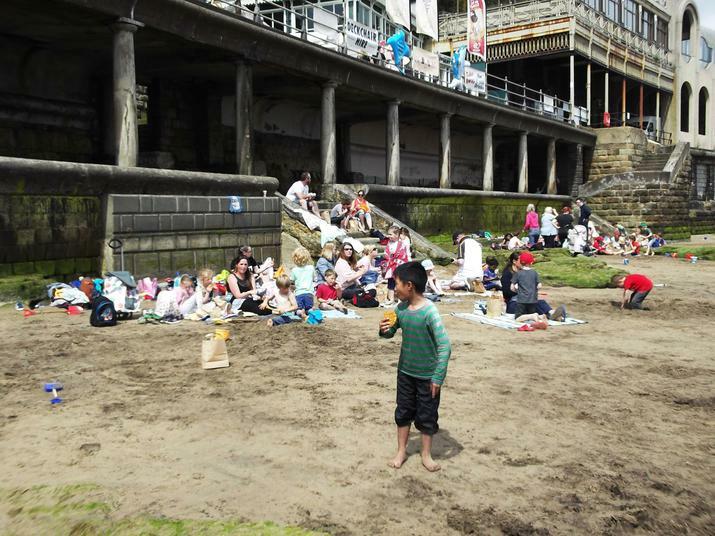 Time for a head count, all there, phew! 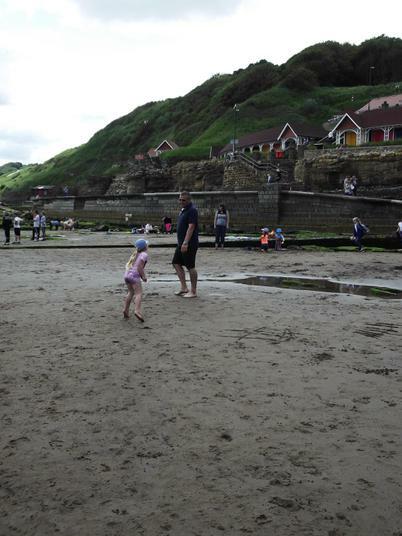 and back to playing for a bit before the long walk back to School. 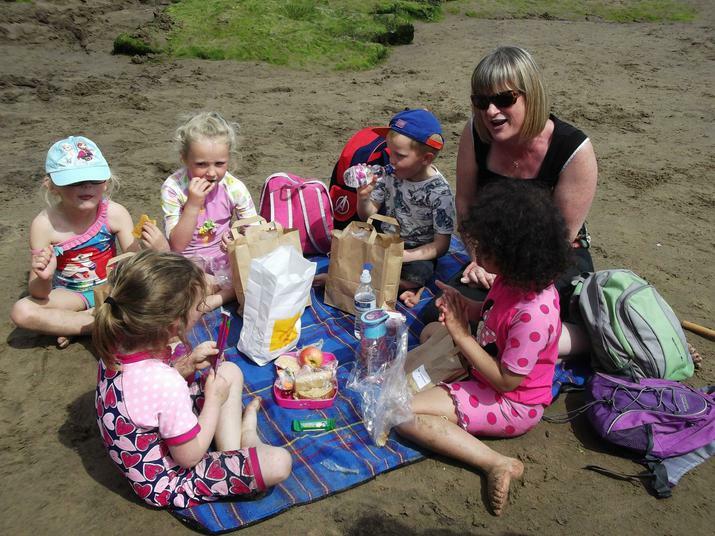 A big Thank you to all parent helpers without who the day just wouldn't happen.